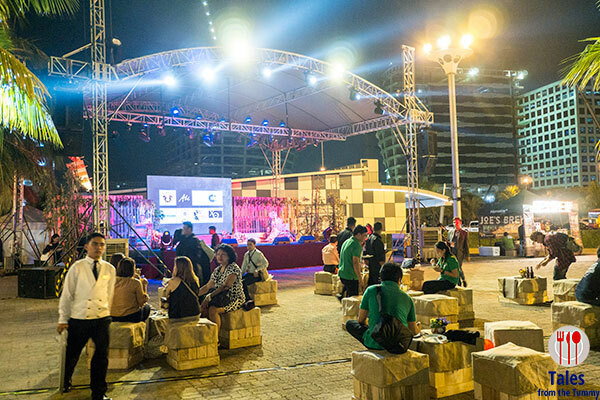 Madrid Fusion Manila is on it’s 3rd year and SM by the Bay set up a fiesta to welcome the delegates and . 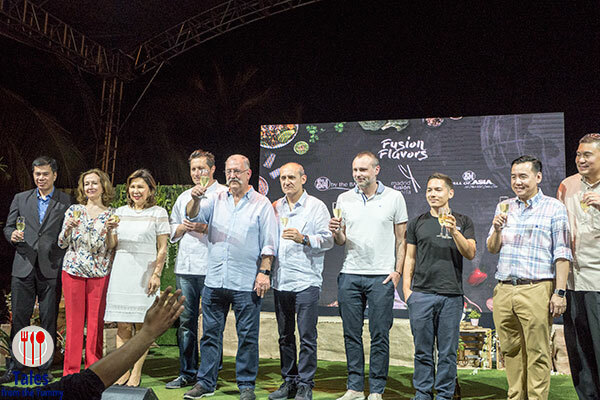 Madrid Fusion was held at the SMX from April 6-8, 2017 with various local and international chefs giving talks and demos about the future of gastronomy. This event is part of SM Supermalls’ Flavors of the Philippines, a week long event to promote Philippine cuisine. 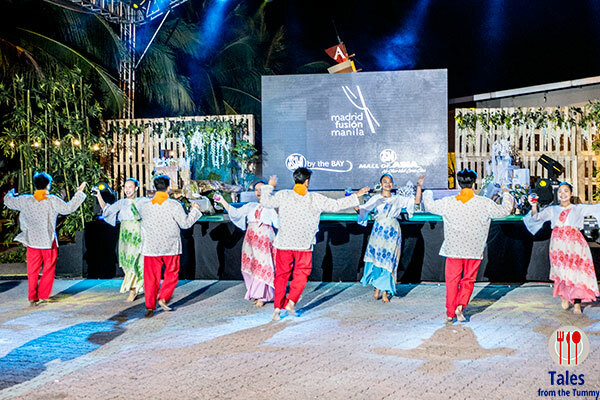 The event started with a local dance to show off the country’s deep and rich culture. 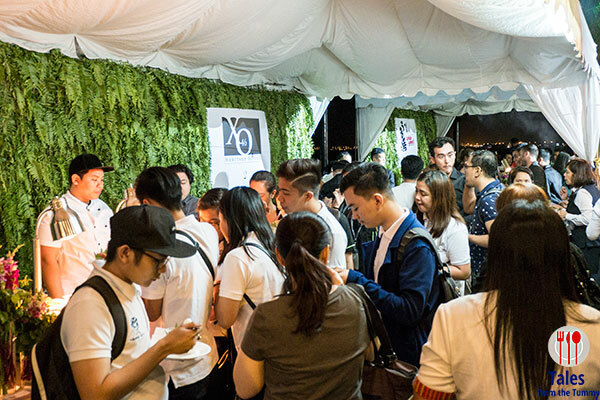 People lined up to try various creations produced by SM partner establishments. These creations made use of local flavors and ingredients but made and presented in new and interesting ways. 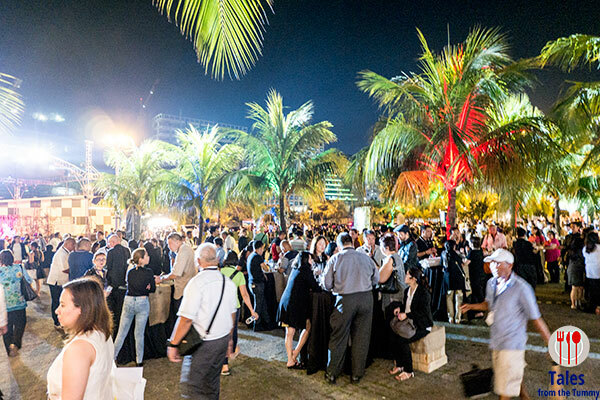 It was a festive party atmosphere as the area filled with delegates, media and chefs mingling, chatting and having fun. 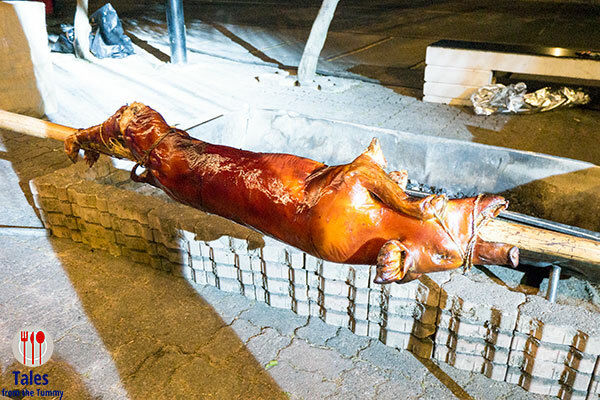 What fiesta will be without the lechon, crisp crackling skin and flavorful, tender meat. This station had the longest lines, by far. 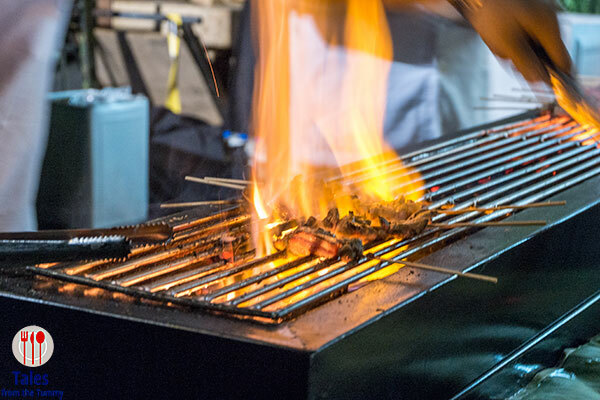 Pick your stick of protein and hand it over to the chef to expertly grill over charcoal flame. Goes perfectly with a bottle of beer. 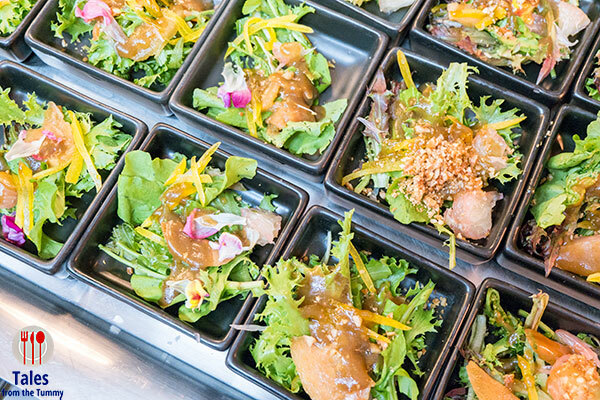 Fiddlehead Fern salad with pomelo, chico, pili nuts and edible flowers. A kaleidoscope of color to show off our rich and abundant produce. 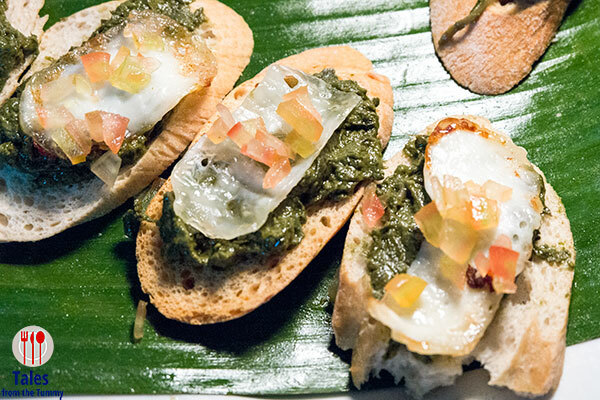 Laing is represented in two ways, topped on a laing bruschetta with quail egg and tomatoes and as a laing paella with chicaron and salted eggs. Not the most photogenic dish given a spin by two partner restaurants. 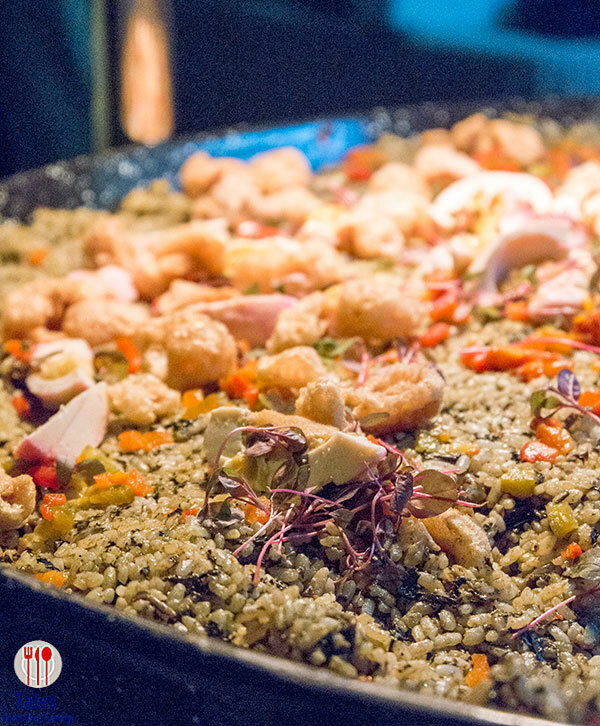 The paella is very tasty with hints of coconut milk punctuated by the rich salted eggs and crunchy chicharon. 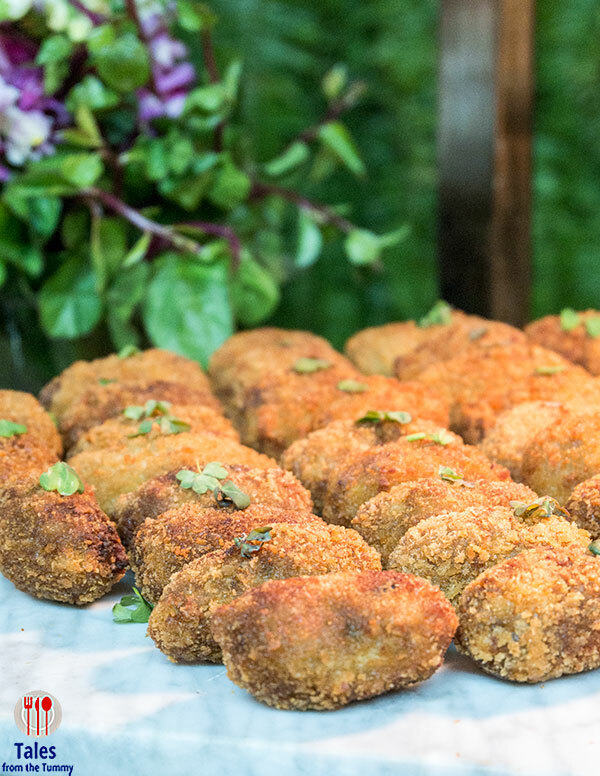 Longganisa Croquettes melds Filipino ingredients with a classic Spanish dish to give a stronger flavor profile. 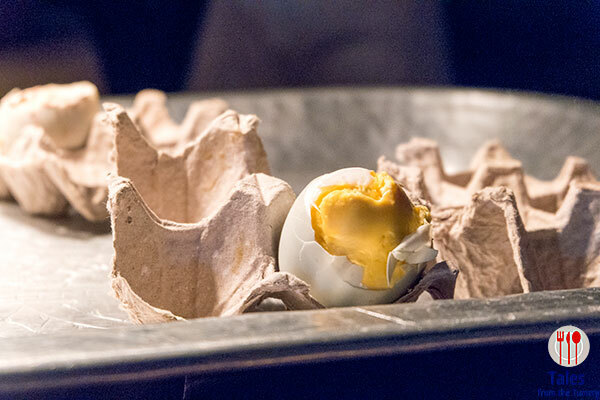 Penoy served in a egg container is really creative. 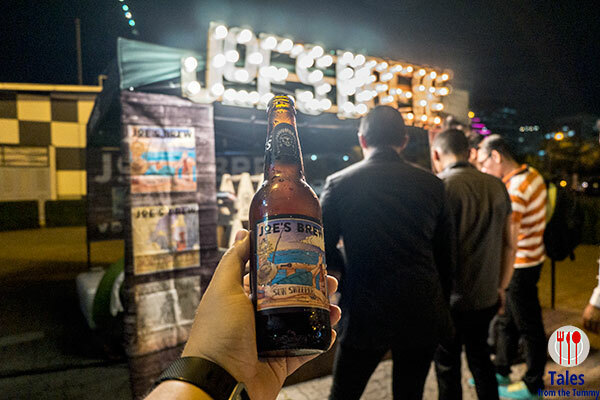 For refreshments, Joe’s Brew set up their little shack giving out bottle after bottle of local craft beer. The welcome party ended with a toast by delegates, media, Chefs, Tourism officials and SM executives. 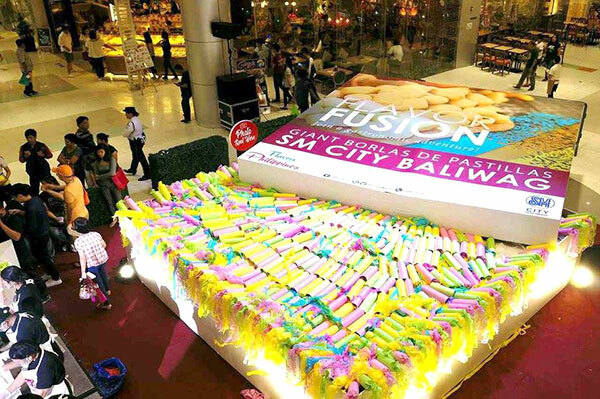 Hosting Madrid Fusion Manila at the SMX is just one part of SM Supermalls’ week long celebration of Filipino flavors. This is all part of their support for the Department of Tourism’s program to promote the Philippines as a culinary hotspot in Asia. Here are some of the exciting gourmet fairs, cooking demos, produce festival that happened in SM Mall all over the country. So be sure to check your nearest SM Supermall or the SM Supermalls FB Page for the exciting food events they are hosting. 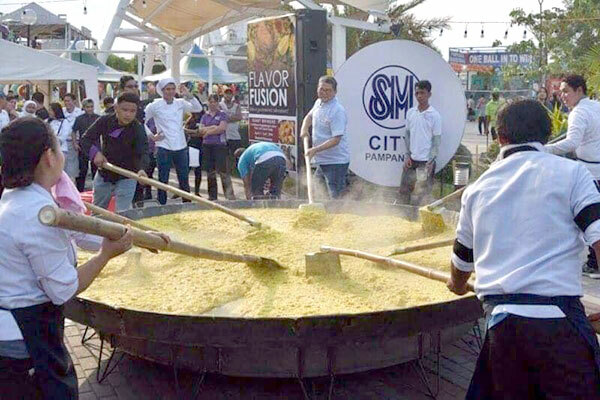 Watch out for the World Street Food Congress happening from May 31 – June 4 in SM Mall of Asia. 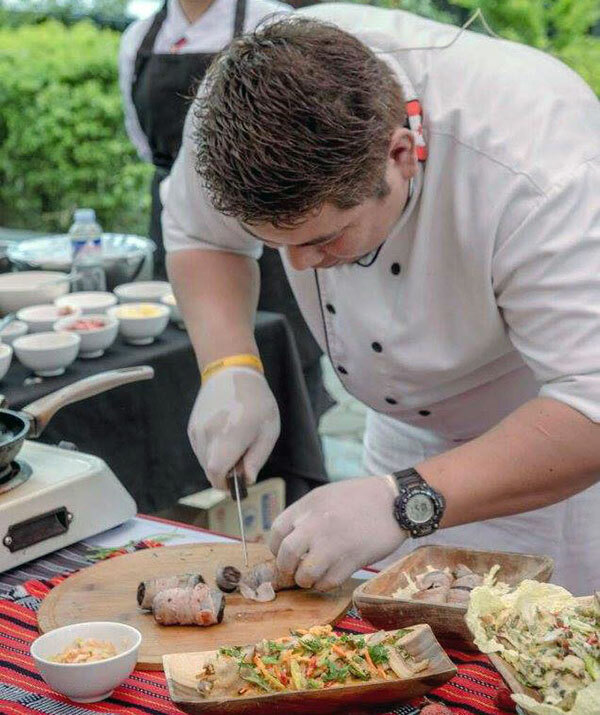 This is just one of the exciting international culinary events being hosted by SM Supermalls.